How Long Do You Boil Baby Artichokes? Baby artichokes aren't really babies at all; rather, they're the fully mature, smaller-sized globes that grow on the lower tiers of the artichoke plant. As with their larger siblings, much of the artichoke is tough and inedible but the tender heart is so flavorful it's worth the effort of trimming away the outer leaves, at least during the brief time of year when baby artichokes are in season. Some recipes for baby artichokes call for boiling the trimmed vegetables before sautéing them, but other recipes omit this step. Boiling times vary from five minutes, to 20 minutes or even longer. In fact, it is not necessary to boil baby artichokes at all, although doing so can make them especially tender and also shorten the time it takes to saute them. The longer you boil them, the softer they will be and the less time they must saute. Cut about half an inch off the top of each baby artichoke. This should remove the spiky tops of the leaves. Also trim a bit of the stem at the bottom, which can be as flavorful as the heart but can also sometimes taste bitter. Tear away the top three or four layers of leaves until you reach inner leaves that are somewhat paler in color and cling more tightly to the center of the artichoke. Cut the trimmed artichoke in halves or quarters, depending on the size that is best for your recipe. 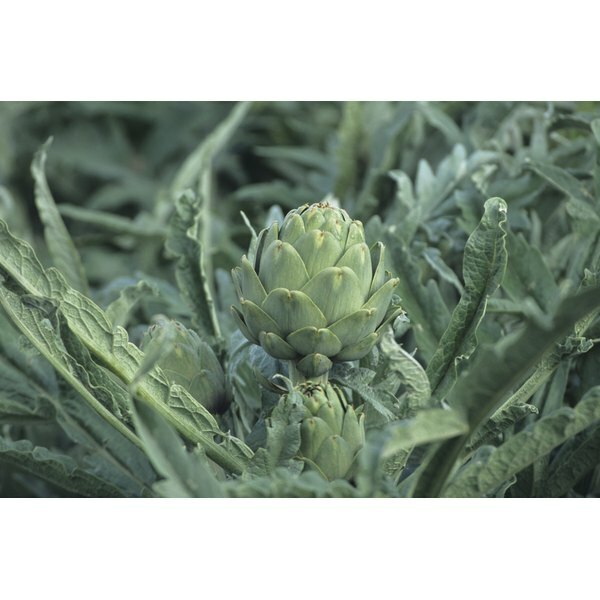 Baby artichokes usually don't have chokes, or the fuzzy prickly layers that larger artichokes hide over their hearts. However, an occasional baby artichoke will contain a choke, so if you find one, scrape it out with a spoon. Store the prepped artichokes in cold water with some vinegar or lemon juice until you're ready to use them, and boil the baby in something acidic as well to keep them from discoloring. The acidity of the water also adds a bit of flavor, quickly marinating the leaves as they boil. 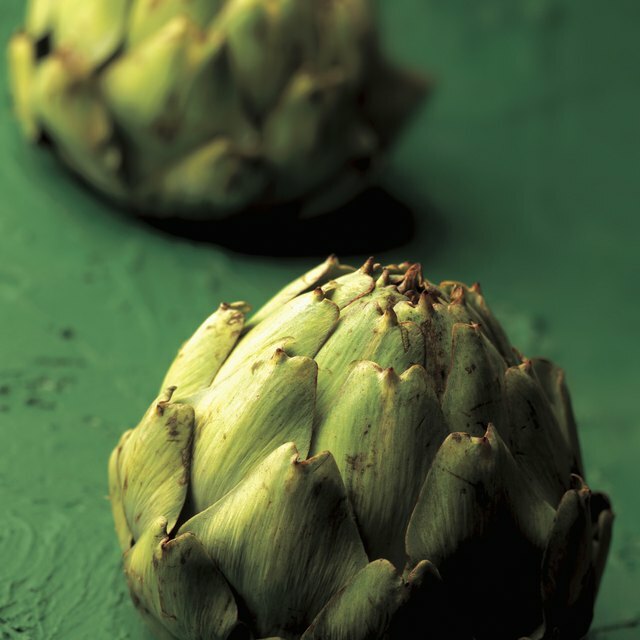 Drain artichokes well after boiling them to avoid diluting seasonings with excess water during the sautéing process. Boiling alone is not sufficient to fully soften baby artichokes and bring out their flavor. Sautéing cooks them at a higher heat because oil can reach a higher temperature than water. If you have not boiled the artichokes before sautéing them, allow them 10 minutes to cook in the pan. If you boil them for five minutes, saute them for five as well, and if you boil them for 20 minutes, saute them for just a minute or two. Add garlic or shallots to the pan along with the baby artichokes, and season the dish with lemon, lime or balsamic vinegar, as well as with fresh herbs.